From the highway, Richmond, Ind. looks like any other blip on the highway between Indianapolis and Columbus, Ohio. It’s not quite blink-and-you’ll-miss it – the town does have five exits from I-70 – but there’s nothing enticing about it, either. Like most label heads, Gennett was not a music man. The Nashville businessman bought the highly successful Starr Piano Company from a trio of Richmond entrepreneurs who started the business 20 years ago. By 1915, Starr Pianos were one of the most prestigious brands in the country and Gennett was selling 15,000 instruments a year. The winds of change were blowing, however, and Gennett sensed the piano paradigm was about to be usurped by the phonograph. 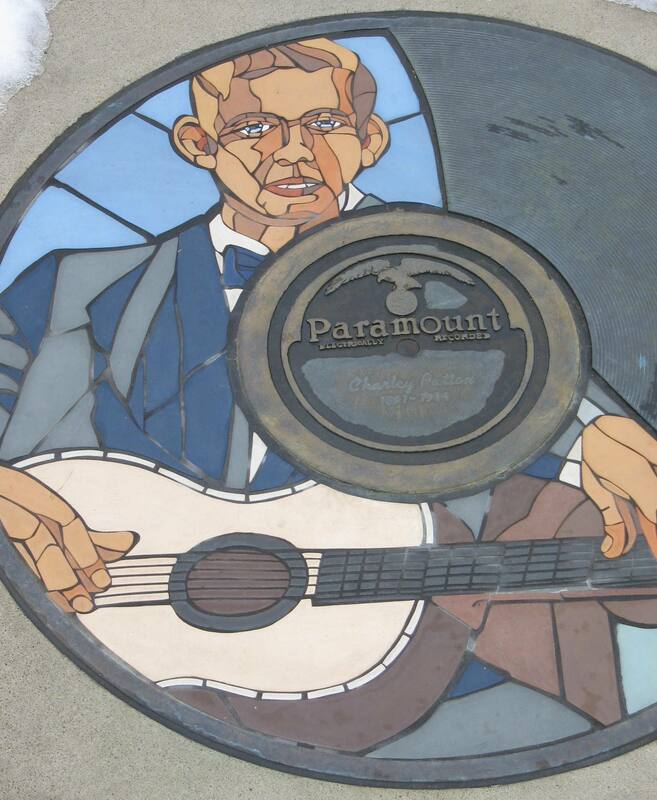 Charlie Patton was one of many then-unknown musicians to record for Gennett. By the end of the decade, Gennett was not only manufacturing his own brand of phonograph, but cutting original material for prospective customers to play on their new appliance. Since Victor and Columbia had snatched up the biggest names in music to exclusive contracts, Gennett grabbed lesser-known musicians passing through town on their way to gigs. The artists Gennett recorded in the ‘20s were unfamiliar at the time, but read like a jazz hall of fame today: Duke Ellington, Jelly Roll Morton, the King Oliver band – which included a bottle green Louis Armstrong, Bix Beiderbecke, the New Orleans Rhythm Kings and Hoagy Carmichael. Gennett also recorded bluesmen Big Bill Broonzy, Charlie Patton, Blind Lemon Jefferson and future country legend Gene Autry and other hillbilly pioneers Fiddlin’ Doc Roberts, Vernon Dalhart and Bradley Kincaid. Ironically, at the same time Gennett was recording many of the biggest names in African-American music, Richmond was a Ku Klux Klan stronghold. At one point, 45 percent of the white men in Wayne County, which includes Richmond, were Klan members. This market was too lucrative for Gennett to ignore, who secretly recorded these bigots in the Gennett Records studios and released them on private labels. Gennett paid his artists a flat fee of $15 to $50 per session and sold the records for $1. The label’s slogan, “The Difference is in the Tone,” was something of a joke. Heavy drapes hung on the walls could not hide the sounds of passing trains, and purists noted Gennett platters did not sound as good as singles cut on the coasts. For a while, though, the Gennett parrot was ubiquitous. In 1920, the label sold three million records. Just when it looked like Henry Gennett had successfully stayed ahead of the technology curve, radio came along. Suddenly, fans didn’t have to own every song they wanted to hear. The coupling of radio and the Great Depression buckled Gennett Records and the Starr Piano Company. In 1935, the label was sold to Decca; in 1952 the largely inactive Starr Piano Company was sold at auction and the Richmond factory was shut down. Ths tower is all that remains of the Gennett building today. the façade – still proudly sporting the Gennett Records logo – and the gutted first floor. 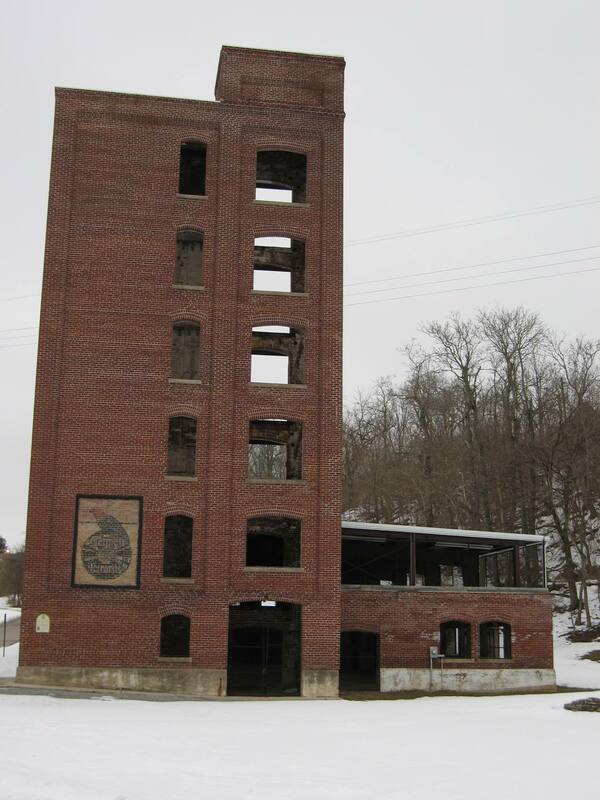 The Starr Piano Company’s 60-foot smokestack stands defiantly several yards away from the remains of the studio. Across the street lies the Gennett Walk of Fame. It was snowy on the day we visited, but someone had taken the time to clear off the markers of several celebrated musicians. The round plaques are meant to resemble a 78 record, and sport a tile mosaic of the artist. A bronze plaque below the 78 contains a brief biography. It seems most of the Richmond’s current 40,000 residents have forgotten about Gennett Records. The first person we asked for directions had never heard of it, and the only nod to the label outside of the old building and walk of fame was mural on the side of a the 4th Floor Blues Club on the way out of town. It’s easy to miss the sign for the Gennett memorial. The narrow road is hidden behind a railroad bridge and tucked next to row of businesses. But if you’ve ventured far enough off the beaten path to stumble into Richmond, go a little further and rediscover some great music. Join us September 11, 2010 as we celebrate the legacy of Gennett Records with the Gennett Walk of Fame Music Fest. This year’s theme is Blues and BBQ and will feature great music by the Gordon Bonham Blues Band, Jennie DeVoe, and Governor Davis and the Blues Ambassadors. These acts will all be performing for free from 10am-5pm! Then during the Gennett Legacy Concert, we will have local favorites Garcia & Scott as well as Grammy Award winner and Richmond native, Deacon Jones. It is sure to be a great day of music celebrating Richmond’s rich musical history! Thanks for letting me know about this. Richmond, Indiana is quite a hike for me so I won’t be able to make it, but I hope a reader will. Please let me know how it turns out, and keep me posted on any future events.